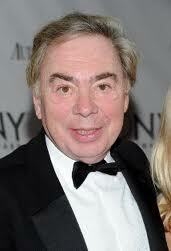 Lord Andrew Lloyd Webber is deputising for Elaine Paige on her BBC Radio 2 show this Sunday from 1:00 pm. He is sharing songs and secrets from his own career and collaborations, the musicals which he grew up with, the shows which have inspired him and those he wishes he had been involved with from the West End and Broadway. Plus he is promising to share a few musical theatre secrets. Maybe about his new hit Broadway musical School of Rock which he is planning to open in London?